BECKLEY, W.Va. — The stately, wood-paneled chamber in the federal building here unsettled Gary Fox and his wife, Mary. Fox was used to the dusty caverns of the mines in the southern part of the state, where he’d spent more than 25 years working underground in the heart of Appalachian coal country. They had never been in a courtroom before. Longtime miner Gary Fox underground with the roof bolting machine he operated, driving rods into the mine’s ceiling to prevent a cave-in. It had been at least 15 years since Fox first noticed signs of black lung disease. It started with shortness of breath. Then a cough that yielded black mucus. By 1999, his symptoms convinced him to apply for federal benefits. A doctor certified by the U.S. Department of Labor examined him and diagnosed the most severe form of the disease, known as complicated coal workers’ pneumoconiosis. 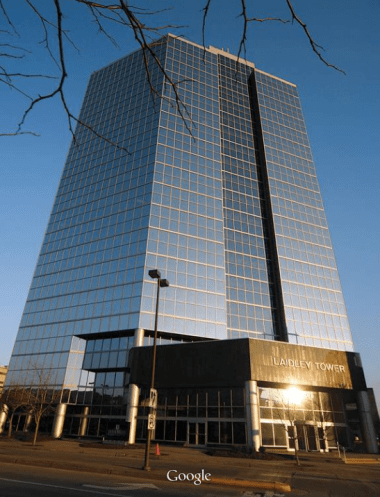 The government ordered his employer, a subsidiary of behemoth Massey Energy Co., to begin paying him monthly benefits, but, as is almost always the case, the company appealed. Gary and Mary now found themselves visitors in a foreign world — one populated by administrative law judges who must make sense of reams of medical evidence, sophisticated legal arguments and arcane rules; coal-company lawyers who specialize in the vagaries of the system and know how to attack claims; and doctors who consistently find cause to diagnose almost anything but black lung. Among the most prominent denizens of this world are the attorneys in the federal black lung unit of the law firm Jackson Kelly PLLC. For almost two centuries, the firm has served the coal industry. It is the go-to place for many of the industry’s giants when they want to beat back a miner’s claim for benefits. 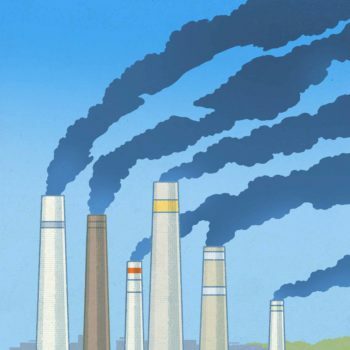 Jackson Kelly, with offices throughout Appalachia, as well as in Denver and Washington, D.C., defends companies accused of polluting the environment, marketing dangerous drugs or discriminating against workers. It helps corporations avoid regulations, drafts bills and lobbies legislators. Its bailiwick, though, is mining. U.S. News & World Report recently named it the nation’s top firm in mining law. Jackson Kelly’s name is on the lips of clinic workers, miners and lawyers throughout Appalachia and is emblazoned atop an office overlooking the Monongahela River in Morgantown, W.Va.
Now, with government scientists documenting a resurgence of black lung disease, the firm’s legal strategy — including, the Center for Public Integrity found, a record of withholding evidence — could have significant consequences for sick miners and their families. On this September morning in 2000, in the courthouse named for longtime Sen. Robert C. Byrd, an experienced Jackson Kelly attorney sat at one table. At the other, Gary and Mary sat alone, having tried unsuccessfully to find a lawyer. This imbalance is not uncommon, as claimants’ attorneys have fled the federal black lung system in recent decades. Time and money are on the side of the coal company, which can hire scads of experts and drag cases out for years or decades. Miners’ lawyers are legally barred from charging claimants any fees, and the payoff, in the rare event of a win, is relatively meager. Tall, lean and stoic, Fox, then 50, answered the judge’s questions with quiet deference — “Yes, sir” and “No, sir.” His brief testimony, along with the report from the examination paid for by the Labor Department, constituted virtually his entire case. Then it was Jackson Kelly’s turn. Exhibit after exhibit became part of the record — medical reports, depositions, résumés of eminent doctors who’d reviewed the evidence. More important, however, was what didn’t make it into the record. Two years earlier, doctors had removed a suspicious mass from Fox’s lung. The purpose had been to rule out cancer, which the hospital’s pathologist had done. There is no evidence he looked for signs of black lung, or even that he knew Fox was a miner. Unknown to Fox, however, Jackson Kelly had obtained the slides of his lung tissue and sent them to two pathologists in its usual stable — doctors whose opinions typically supported the firm’s case. This time Jackson Kelly didn’t get the answer it wanted. Both pathologists wrote reports indicating the mass likely was complicated black lung — a finding that, if credited by the judge, automatically would have won the case for Fox. The firm’s lawyers could have accepted the opinions of the doctors they’d relied on so many times before. They could have conceded that Gary’s case had merit and agreed to pay him and Mary $704.30 a month, allowing him to escape the dust destroying his lungs. Even if they chose to fight the claim, they could have allowed their experts to see all of the pathology reports as they formed their opinions. None of that is what the lawyers at Jackson Kelly did. Instead, the firm withheld the reports; Fox, the judge and the firm’s own consulting doctors had no idea they existed. In the months that followed, a team of Jackson Kelly lawyers built a case around the hospital pathologist’s report and its vague diagnosis of “inflammatory pseudotumor.” They encouraged the court and their own consulting doctors to view the report as the sole, definitive account of what Fox’s lung tissue revealed. Even one of the doctors retained by Jackson Kelly originally thought Fox had black lung. After being given the pathologist’s report, he changed his mind. Relying heavily on the pathology report, a judge denied Fox’s claim for benefits in 2001, leaving him few options. He had a family to support, and he needed health insurance because Mary had a chronic illness. He went back to the mine, his health deteriorating. For years, no one but the firm knew of the powerful evidence that he had the severe disease and should get out of the mine’s dusty atmosphere immediately. What happened to Gary Fox was not the result of a rogue attorney or singular circumstances. It was part of a cutthroat approach to fighting miners’ claims that Jackson Kelly has employed to great effect for decades, an investigation by the Center for Public Integrity has found. 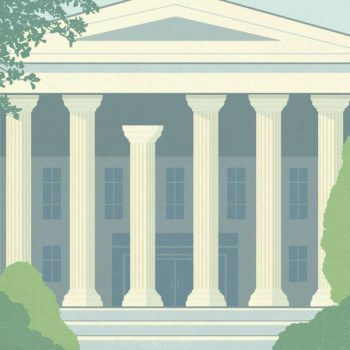 Some of the firm’s tactics go beyond aggressive advocacy, crossing into unethical behavior, according to current and former judges, lawyers and state disciplinary officials. As a result, sick and dying miners have been denied the modest benefits and affordable medical care that would allow them to survive and support their families. The role of lawyers in orchestrating sophisticated legal strategies to defeat claims for benefits is just the first chapter in the story of a system in which well-paid specialists thrive as miners struggle, the Center’s yearlong investigation, Breathless and Burdened, found. Coal companies rely on a cadre of doctors with prestigious affiliations, including a unit at the nation’s top-ranked hospital, to trump the opinions of miners’ physicians. Experts for hire continue a century-old tradition: denying scientific evidence that black lung can assume different appearances in different people, locking an entire class of sick miners out of the benefits system. Jackson Kelly, documents show, over the years has withheld unfavorable evidence and shaped the opinions of its reviewing doctors by providing only what it wanted them to see. Miners, often lacking equally savvy lawyers or even any representation, had virtually no way of knowing this evidence existed, let alone the wherewithal to obtain it. In the rare cases in which miners’ lawyers have pushed for access to these materials and a judge has ordered disclosure, Jackson Kelly has fought back aggressively, arguing that it has the right to withhold them. The firm has asked higher courts to intervene and accused judges of bias. It has defied court orders, knowing administrative law judges have no contempt powers to enforce their commands, or conceded the case rather than turn over evidence. Still, judges generally haven’t been receptive to arguments that Jackson Kelly’s handling of a particular case is symptomatic of anything broader or that disciplinary action is warranted. Fox’s case, still unresolved, could change that. A judge deemed Jackson Kelly’s actions in the case a fraudulent scheme that threatened the integrity of the judicial system. A split appeals court vacated that ruling, and the decision is now on appeal. 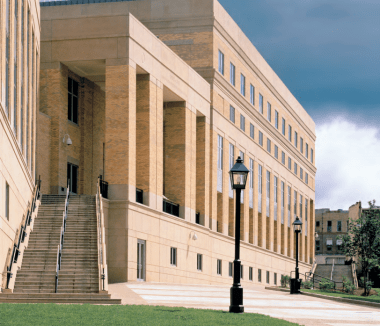 After the Center contacted the West Virginia Office of Disciplinary Counsel and asked whether action would be taken, the office opened investigations into three Jackson Kelly lawyers who were involved in Fox’s case. To date, they have not been charged with any wrongdoing. The judge who denied Fox’s claim in 2001, Edward Terhune Miller, recently retired and, in an interview with the Center, learned what had been shielded from him more than a decade earlier. His eyes widened, and, for a moment, he was speechless. Retired Administrative Law Judge Edward Terhune Miller, after learning evidence had been withheld from him more than a decade earlier. Jackson Kelly’s general counsel, on behalf of the firm and the individual attorneys contacted by the Center, declined repeated interview requests and would not discuss specific cases or general practices. In court filings, the firm has argued that there is nothing wrong with its approach and that its proper role is to submit the evidence most favorable to its clients. A spokesman for Alpha Natural Resources, which purchased Massey Energy and is now opposing Fox on appeal, declined to comment on the case while it is ongoing. Until now, Jackson Kelly’s conduct in black lung cases has remained largely buried in voluminous files that are confidential because of the private medical and financial information they contain. Over the past year, however, the Center has identified key cases and obtained written permission from miners or their surviving family members to view their entire case files. These 15 files span 40 years and include hundreds of thousands of pages. The Center also reviewed the limited publicly available information on dozens more of the firm’s cases. In court decisions and emails obtained by the Center for Public Integrity, some judges have criticized Jackson Kelly’s approach in federal black lung benefits claims. These documents reveal a struggle that has been waged out of public view for more than three decades between a handful of lawyers representing miners and the nationally prominent firm. In at least 11 of the cases reviewed by the Center, Jackson Kelly was found to have withheld potentially relevant evidence, and, in six cases, the firm offered to pay the claim rather than turn over documents as ordered by a judge. Other workers’ compensation programs use a panel of independent medical experts, and some judges have suggested rules requiring both sides to disclose all of their medical evidence. Such suggestions have fallen flat in the federal black lung system, where fights over evidence play out on a case-by-case basis. The integrity of the program created more than 40 years ago is arguably more important now than in years. Government researchers have documented a revival in the disease since the late 1990s, and the number of claims filed with the Labor Department has increased in recent years. After decades of decline in the disease’s prevalence, government surveillance now indicates that more than 6 percent of miners in central Appalachia are afflicted with black lung, which is increasingly affecting younger miners and taking a new, more aggressive form. Researchers suspect this is an undercount. Though conditions have improved since landmark 1969 legislation, today’s roughly 85,000 U.S. coal miners face new dangers posed by an increasingly toxic mixture of dust generated by advanced machines that rapidly chew through coal and rock. For an average wage of about $25 an hour, they risk explosions, rock falls, fires and disease. In the past five fiscal years, the Labor Department has issued initial decisions in more than 23,000 claims, and the proportion of miners who win their cases remains low. 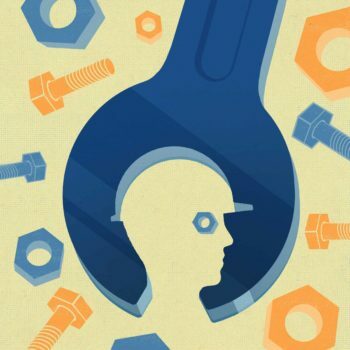 During the 2012 fiscal year, about 14 percent of claims led to an award by the Labor Department at the initial level. The real number, after appeals, is likely lower, though no definitive statistics are available. Coal companies appeal almost every award, and this is when lawyers like those at Jackson Kelly typically develop mounds of evidence. Even if a miner prevails before a judge, the decision must get past an administrative appeals board with a record of vacating awards, often for highly technical reasons. Four of the board’s five members were appointed under the Reagan or George W. Bush administrations. The administrative court system, originally meant to benefit miners, has evolved into a byzantine maze of seemingly endless litigation with its own rules and peculiarities that can befuddle even experienced lawyers. Much more than in civil court, the balance of power is tipped in favor of defendants, and cases receive little outside scrutiny. Fewer than one-third of miners have a lawyer at the initial stage of their cases, Labor Department statistics show. Coal companies and their insurers, however, are almost always represented by lawyers who specialize in black lung claims. But in Gary Fox’s case, events unfolded that the firm’s lawyers may not have anticipated. 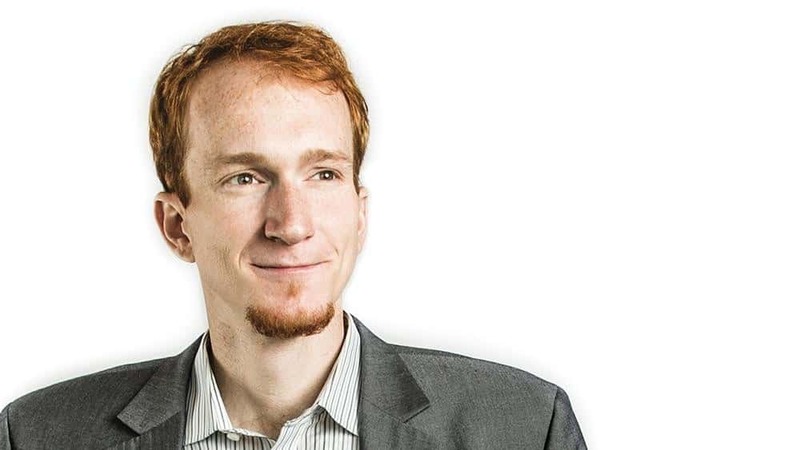 Unlike many miners, Fox eventually would connect with a tenacious lawyer — a carpenter-turned-clinic-worker-turned-attorney practicing out of his home in rural southern West Virginia. These two men would challenge the powerful firm. Even as coal dust consumed his lungs and he waited for a transplant he hoped would save his life, Fox planned to fight. Gary Nelson Fox almost never missed work. Not when he had a fever of 103 degrees. Not when falling rock shattered his ankle. Not when he’d work days on end partially submerged in dank water, arriving home soaking wet each night, or when he’d contort his 6-foot-2-inch frame to work in openings just a few feet high, stooping or crawling for nine-hour shifts. He’d grown up poor, and he wanted a more comfortable life for his family. Mining was the best money around. Born in 1950, he eventually earned a GED and finished two years of college. In 1970, he was shipped to Vietnam, where he drove a tractor-trailer for the Army. After sheet metal crushed his foot, he was sent home. In 1972, he married Mary Lynn Smallwood, whom he’d met before deploying overseas. Four years later, they had a daughter, Terri. Fox worked for a few years driving a truck for companies like Coca-Cola and Beckley Oil. In 1974, he went underground, signing up with Itmann Coal Co. For some 13 years, his main job was to control a continuous mining machine, which uses a spinning drum head studded with teeth to tear through coal seams, generating clouds of dust. When he went to work for Birchfield Mining Co. in 1987, he switched to roof bolting. After a new area was carved out of the earth, he was among the first in, using a machine to drive rods into the unstable rock above and pin it to higher, more secure rock. He continued bolting when he went to work for the Massey subsidiary Elk Run Coal Co. in 1993. For most of his 30-plus years underground, he worked in the jobs that expose miners to the highest concentrations of dust, commanding higher pay and posing greater risk of developing black lung. Six-day weeks were the norm. He pushed Terri to excel in school and to learn to take care of herself. When she turned 16, she wasn’t allowed to drive until she could change the tires and oil herself. They put brakes on the car together. Fox encouraged her to go to college, and she would graduate with a nursing degree and no student loans. Sunday was family day. “Don’t ever think that you’re going to go do something with your friends or anything,” Terri recalled. Maybe they’d go to a state park or drive south to Gatlinburg, Tenn., for breakfast. Travel was impulsive, and the specifics weren’t especially important. Greater financial security had its price. Aside from Sundays, Fox rarely got to spend time with his family. Though he avoided discussing the hazards of his job, they often occupied Mary’s thoughts. 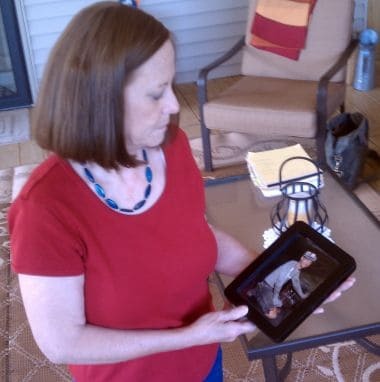 “When somebody calls your house in the middle of the night when your dad is at work, it sends a shiver up your spine until you realized it was a wrong number or something,” Terri recalled. In the years leading up to Fox’s first claim, glimpses of Jackson Kelly’s tactics began to surface. That was, in large part, because of John Cline, a soft-spoken but tenacious man who would eventually become Fox’s lawyer. 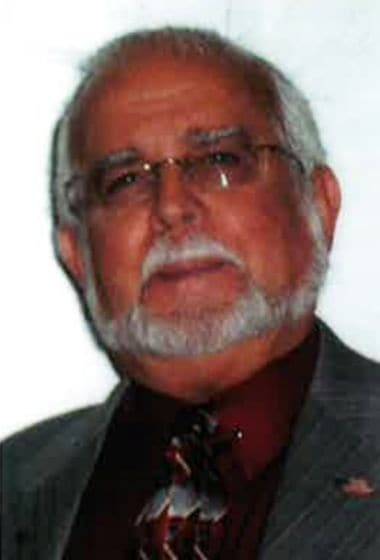 John Cline, who would eventually earn a law degree in 2002 and begin representing Gary Fox in 2007, came to southern West Virginia in 1968 as part of the program Volunteers in Service to America. 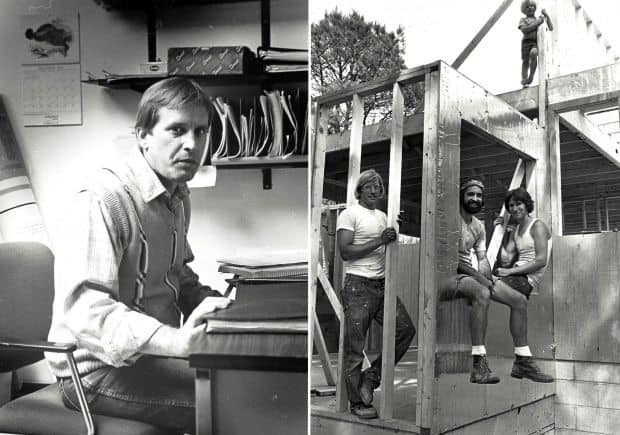 For much of the next two decades, he built homes primarily for poor people who qualified for a government low-interest loan program (image at right, standing far left). In 1987, he went to work for a clinic that provided miners health care and advice on filing benefits claims (image at left). A native of East Aurora, N.Y., a small town near Buffalo, Cline came to southern West Virginia in 1968 at 22 to work for Volunteers in Service to America, combating poverty in the coalfields. Also a carpenter and electrician, he spent most of the next two decades as a contractor building homes mainly for poor people who qualified for a government low-interest loan program. 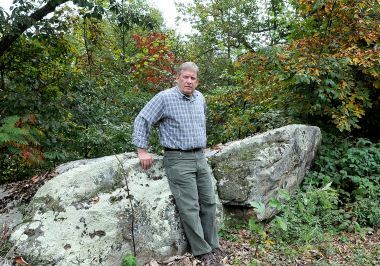 John Cline outside his home in Piney View, W.Va., which also serves as his law office. In 1987, he joined the New River Health Association in Scarbro, W.Va., one of a group of nonprofit clinics that provide miners health care and advice on filing a claim. By the early 1990s, he was taking cases on his own as a lay representative, helping miners who couldn’t find a lawyer navigate the system’s complexities. 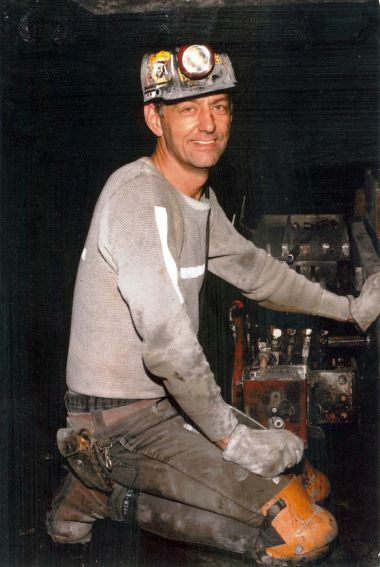 Cline entered the world of federal black lung benefits at a time when many who traditionally had helped miners were getting out. Changes to the law in 1981 had made winning benefits much more difficult. The influence of the United Mine Workers union was waning. One of the peculiarities of the federal black lung system is the virtual nonexistence of the discovery process — both sides exchanging evidence they develop. Documents that would be disclosed routinely in civil court — reports prepared by experts or information on financial ties between a defendant and its witnesses, for example — are not commonly requested in black lung cases. 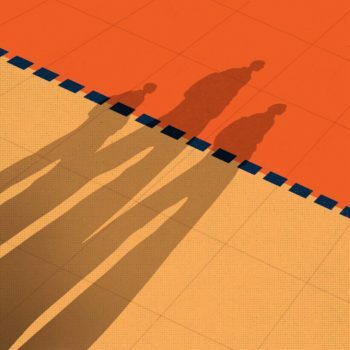 Even when they are, a judge may opt not to compel disclosure. Cline soon found himself in the middle of the nascent fight over what information had to be turned over. In 1995, he became the lay representative for Calvin Cline, a retired miner who was no relation to John. Calvin had worked 30 years underground, sometimes spending hours on his stomach clawing out coal in openings less than three feet high. By 1979, he could no longer keep up; he could barely breathe. When John took over his case, Calvin had been fighting for 15 years and had just suffered his second loss to Westmoreland Coal Co., which had hired Jackson Kelly. A Westmoreland spokesman declined to comment on particular cases or the benefits system generally. John asked the court to force the firm to turn over any evidence it had withheld previously. The request lacked the polish of a seasoned lawyer, but it revealed a street-smart skepticism. In an attached affidavit, he said he’d almost never seen a case in which Jackson Kelly didn’t submit X-ray readings by Dr. Jerome Wiot, a radiologist at the University of Cincinnati who had helped establish the criteria for identifying black lung on films and was a favorite of the firm because, in judges’ eyes, his opinion often trumped all others. Despite his revered status, he had a narrow view of what black lung looked like on film, setting the bar for diagnosis very high and reliably benefiting coal-company defendants. In Calvin’s case, Jackson Kelly had submitted numerous X-ray readings, but none from Wiot. Jackson Kelly responded with indignation, but not explicit denial. “There is absolutely no proof that the Employer consulted with [Wiot] in this case,” lawyer Ann Rembrandt wrote in a response brief. When the case went to the highest appeals court in the administrative system, the Benefits Review Board, Cline felt out of his league as a non-lawyer and enlisted the aid of a kindred spirit and fellow New York native, attorney Robert Cohen. Years earlier, Cohen had begun unraveling Jackson Kelly’s strategy. Of the formal written questions Jackson Kelly was serving on his clients, one stood out: Do you have any medical evidence or expert reports that you haven’t already submitted? When he asked the same question, the firm refused to answer. He’d touched off a fight that continues today. Though Jackson Kelly’s argument has evolved somewhat over the years, it has been essentially the same since at least 1990: Any doctor’s report that the firm chose not to submit was “attorney work product” — protected from discovery under a privilege meant to shield lawyers from having to disclose their personal impressions and informal communications with potential witnesses while preparing a case. The firm filed briefs outlining this argument in virtually every case reviewed in detail by the Center. To Cohen and Cline, this argument seemed plainly wrong. The documents they wanted were not lawyers’ notes and correspondence with consultants, but formal reports written by doctors the firm had retained. They were no different than the reports that did end up in evidence, it seemed to them; the firm just didn’t like what these reports said. In a landmark decision in October 1997, the review board agreed for the most part. The board concluded that a miner could obtain any withheld reports by meeting a series of requirements — essentially that the evidence be vital to the case and unobtainable by other means. But this left the decision of whether a miner had met the requirements up to individual judges, who would arrive at differing conclusions in the years that followed. Jackson Kelly has tweaked its arguments, and it continues to fight disclosure today. In Calvin’s case, Jackson Kelly had to turn over any evidence it had withheld, and John’s hunch proved correct. Not only had the firm consulted Wiot, but he had had written reports interpreting numerous X-rays and a CT scan as consistent with complicated black lung. In 2008, Jackson Kelly would abandon its appeals. After 28 years, Calvin had his benefits. Two years later, he died. Just months after the board’s decision, Cline made another discovery. 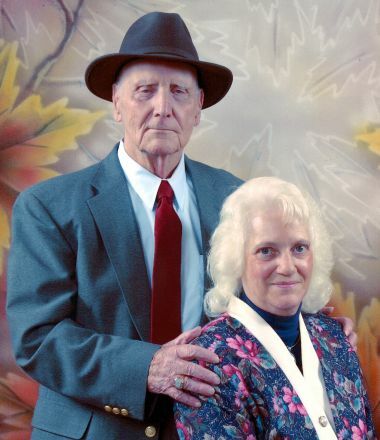 By April 1998, retired miner William Harris had been trying to win benefits for 18 years. His most recent employer, Westmoreland Coal Co., had hired Jackson Kelly. When Cline began representing him in September 1997, an item’s conspicuous absence jumped out. In Harris’ previous claim, some doctors had read X-rays as complicated black lung; others hadn’t. Wiot, who has since died, had testified that it was a “judgment call” whether the disease had reached the complicated stage. He believed it hadn’t, but a CT scan should remove any question, he’d said. CT scans are considered more accurate than X-rays because they allow doctors to see finer detail. Harris underwent the scan, and the judge credited the negative reading of Jackson Kelly’s expert, a radiologist at Johns Hopkins, over the positive reading of Harris’ expert. Harris lost. Why hadn’t Jackson Kelly gotten Wiot to read the CT scan? Cline wondered. After all, they’d stressed Wiot’s interpretation of the X-rays, and the judge had found that he “may be the preeminent radiologist in the country” when it came to identifying black lung. For seven months, Cline pushed for Jackson Kelly to turn over any reports it had on Harris. Finally, he decided on an end-run. He faxed a request directly to Wiot’s secretary asking for the doctor’s interpretation of Harris’ CT scan, guessing that one existed. He soon got the response: a report finding the scan consistent with complicated black lung. Jackson Kelly had, in essence, stressed the importance of Wiot’s X-ray readings when they supported the firm’s case, then withheld his opinion of the more useful test when it didn’t. The judge ordered Jackson Kelly to turn over any other documents it had on Harris. Instead, the firm conceded, agreeing to pay Harris benefits. Harris took the deal, ending his claim without finding out what else Jackson Kelly may have had in its files. 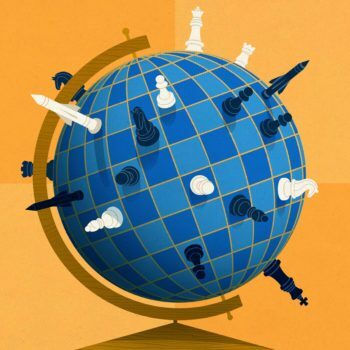 Cline and Cohen had uncovered some troubling signs, but just what they meant — and what to do about them — was not yet clear. To someone unacquainted with the federal black lung system, the claim that Gary Fox filed in May 1999 might have seemed fairly simple. 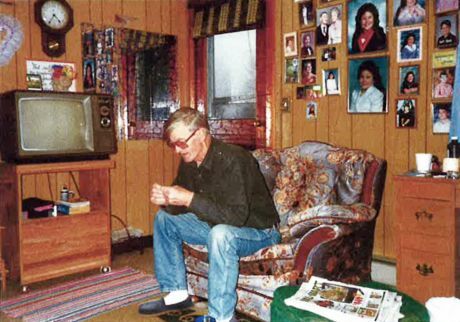 He had more than 25 years of heavy exposure to disease-causing dust, virtually no history of smoking cigarettes and many of the typical signs of black lung. A doctor certified by the Labor Department had performed breathing tests and taken X-rays, concluding that he had the complicated form of the disease. But federal black lung cases are almost never simple. Lawyers like those at Jackson Kelly thrive on medical uncertainty and alternative explanations for the miner’s apparent illness. A lone piece of evidence may provide the fuel, gaining strength in the self-reinforcing spread from one doctor’s opinion to the next. Thus it was with the pieces of lung tissue that had been surgically removed from Fox in 1998. Pathology is considered the best way to diagnose black lung, but it’s not available in many cases. In Fox’s case, Jackson Kelly took what could have been a damning piece of evidence and turned it into the centerpiece of its case. The report from the hospital pathologist, who is now dead, mentions the surgery’s purpose — to rule out cancer — and his diagnosis of “inflammatory pseudotumor,” essentially a mass that looked like a tumor but probably was caused by some unknown inflammatory disease. The pathologist didn’t mention the possibility of black lung, or that he had any information about Gary’s job or risk for the disease. Jackson Kelly clearly grasped the importance of the pathology. Unknown to Fox, the firm sent the slides of lung tissue to Drs. 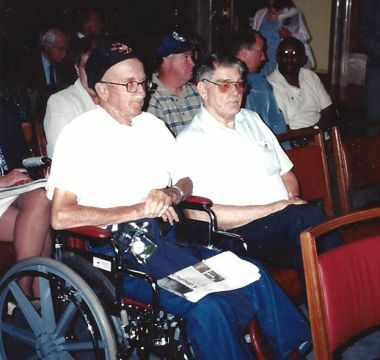 Richard Naeye and Raphael Caffrey, both of whom had decades of experience identifying black lung and were among a small group of pathologists that Jackson Kelly used frequently. Yet when the firm submitted evidence to its chosen pulmonologists — doctors who render a diagnosis incorporating the evidence provided to them — the reports by Naeye and Caffrey were nowhere to be found. Instead, Jackson Kelly allowed its group of four pulmonologists to believe that no interpretation other than the hospital pathologist’s existed. In depositions, the firm’s lawyers deftly guided its experts, asking variants of the same question: Does the pathology report call into doubt a diagnosis of complicated black lung? The question more or less dictated the answer: Yes. Pulmonologist James Castle acknowledged that he had originally diagnosed black lung, but changed his mind because of the hospital pathologist’s report. Wielding the pathology as a cudgel to deal the final blow, Douglas Smoot, a senior attorney in the firm’s black lung unit, sought to discredit the doctor who had evaluated Fox for the Labor Department and had based his diagnosis solely on his own examination. “Do you think that [the Labor Department-certified doctor] would have been aided by having all of the biopsy medical evidence at his hand when he reviewed this case?” Smoot asked Castle during a deposition. In a recent interview, Miller said knowing of the reports by Naeye and Caffrey would have changed the case dramatically. “I frankly think that, when you get to that point and you are offering evidence of a certain kind and you know material is there which clearly makes that evidence false or incomplete — you just don’t do that; that’s wicked,” he said. Without a lawyer, Fox didn’t even try to appeal. Meanwhile, Mary was battling her own health problems. “I had to have insurance at the time,” Mary recalled. “And that’s really all he knew to do, was mining.” He went back to work. Case by case, the evidence of a pattern in Jackson Kelly’s conduct grew. It remained out of sight, amassing in confidential files. 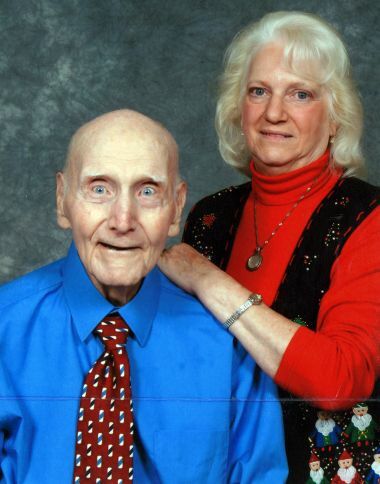 For example, there was Clarence Carroll, who, during a battle with Jackson Kelly that lasted more than two decades, went from a 195-pound retired miner who enjoyed walks and line-dancing with his wife to a 112-pound skeleton tethered to an oxygen tank. Jackson Kelly, it turned out, had withheld X-ray readings by doctors, again including Wiot, who had found evidence of complicated disease. 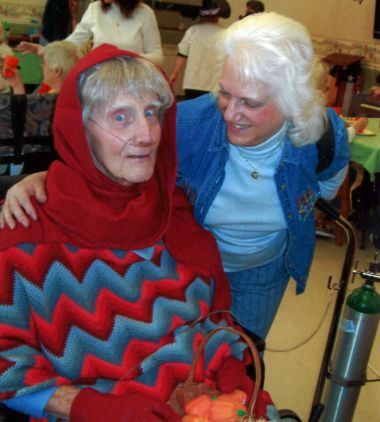 Clarence and Dolores Carroll on Halloween in 2009 after Clarence fell and broke his pelvic bone. But it was the firm’s handling of another potentially problematic opinion in Carroll’s case against his employer, Westmoreland Coal Co., that revealed particular finesse. Reading a series of X-rays is regarded as more accurate than reading a single X-ray because it allows the doctor to view the progression of the disease. Jackson Kelly made this exact argument in Carroll’s case when it submitted readings by some of its doctors. But when one of its radiologists interpreted a series as showing complicated disease, the firm withheld the report. Instead, it went back to the same doctor two years later and showed him only the final film in the series. This time, he said the disease had not yet reached the complicated stage; Jackson Kelly won the case. In other words, the firm had withheld a report that, according to its own argument, was more accurate and instead submitted a less accurate report more favorable to its case. After Cline filed a motion asking the judge to order Jackson Kelly to turn over any other evidence it might have, the firm conceded the case. Carroll died within three years. There was Norman Eller, a retired miner and deacon at the Baptist church near his home in Slab Fork, W.Va., who eventually lost the breath to sing in the gospel choir or mow the lawn during his decade-long fight with Jackson Kelly, which had been hired by his employer, Elk Run Coal Co. A CT scan proved vital in his case. The morning of a deposition by Jackson Kelly’s chosen pulmonologist, the firm gave the doctor a report interpreting the scan. It referenced the scan’s “limited” nature but said there was no evidence of black lung. During the deposition, Jackson Kelly attorney Mary Rich Maloy trained the doctor’s attention on the report, and he incorporated it into his opinion, which the judge credited in denying Eller’s claim. Jackson Kelly argued in its closing brief that the CT scan, also interpreted by another doctor as “incomplete” but negative for black lung, showed that Eller didn’t have the disease. What Jackson Kelly didn’t disclose was a third reading of the CT scan — this one by Wiot — that stated explicitly just how “limited” the scan was. Because key portions weren’t there, Wiot wrote, “evaluation for the presence or absence of pneumoconiosis cannot be made.” In other words, according to Wiot, the scan was useless — not the strong evidence for the lack of disease that Jackson Kelly had claimed. The firm eventually would drop its appeals in May 2010. Eller died eight months later. And there were the widows. 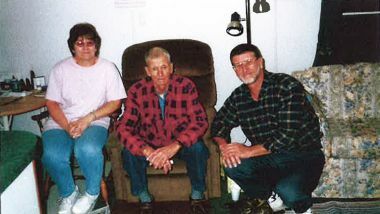 In two cases examined by the Center, Jackson Kelly waited until a miner who was receiving benefits died, then not only fought his widow’s claim as a surviving beneficiary but also filed to reopen the miner’s claim, arguing that he never had black lung or wasn’t disabled by it. In other instances, the firm made similar arguments but did not seek to invalidate the earlier victory. In one case in which Jackson Kelly did try to turn a dead miner’s previous win into a loss, the review board ruled that the firm’s attempts to undercut the widow’s claim by challenging anew the miner’s earlier case were an attempt to “circumvent the law.” The U.S. Court of Appeals for the Fourth Circuit called the firm’s motives in doing so “patently improper.” Jackson Kelly defended its actions as “proper” in a court filing. In two other cases, Jackson Kelly fought the widow for years before conceding the case after a judge ordered the firm to turn over any evidence it was withholding. “You think, ‘They can’t do that,’ ” said William DeShazo, the son of one of the widows. “But they did do that. 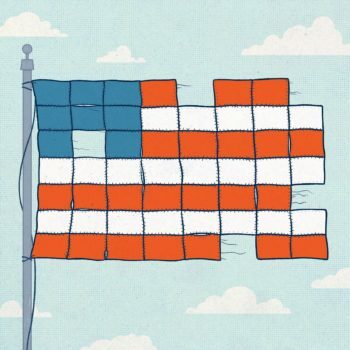 … So they start throwing the paperwork at my mom, and I think they hope for one of two things: You run out of resources, or you can’t find a lawyer to help you.” Cline eventually agreed to represent DeShazo’s mother, LaVerne, who has undergone a series of strokes since her husband’s death. Jackson Kelly’s approach — folding rather than turning over any undisclosed evidence it had — was eerily reminiscent of the end to Harris’ case five years earlier, and, since then, Cline had seen the firm’s strategy play out numerous times. Jackson Kelly would shop for evidence, he argued, then withhold unfavorable opinions, knowing there was little chance they would be discovered. In the rare cases in which the firm had been ordered to turn over withheld documents, it sometimes had conceded. This occurred in six cases reviewed in detail by the Center. In theory, these cases are wins for the miners, but the strategy also benefits Jackson Kelly. The firm doesn’t have to reveal documents that could show it chose to fight despite having strong evidence the miner had black lung. The tactic also prevents the miner from uncovering reports that might show he was diagnosed with the disease at an earlier date, entitling him to back pay for accumulated benefits. And it allows the firm to argue in a widow’s claim that the miner never had black lung. Meanwhile, Jackson Kelly showed a willingness to defy court orders and to attack judges whose rulings it didn’t like. In a pair of cases before Administrative Law Judge Fletcher Campbell in 2004, the firm refused to answer questions about its financial relationships with doctors it enlisted. “This honorable tribunal does not have the authority to issue sanctions for failure to comply with an order compelling discovery,” attorney Kathy Snyder pointed out in one case. In one case, Jackson Kelly argued that Campbell’s actions, including an order granting a discovery motion, amounted to bias. When a judge in another case raised the possibility of the miner’s lawyer filing a discovery request, Jackson Kelly demanded he recuse himself. He did, and the case was reassigned to a different judge. Campbell, now retired, said the information being requested of Jackson Kelly was perfectly reasonable. “In any federal district court, this would be a no-brainer,” he said. In the federal black lung system, however, things weren’t so clear. In a number of cases reviewed by the Center, judges denied the requests of miners’ lawyers for withheld documents or information. In some cases, miners’ lawyers asked judges to reprimand or penalize Jackson Kelly. But even as the firm’s defiance of court orders and withholding of evidence recurred, it faced few repercussions, and there was no general recognition among judges that individual instances were part of a larger litigation strategy. The complicated form of black lung that many doctors diagnosed in Gary Fox has another, more descriptive name: progressive massive fibrosis. The small scars laden with coal dust that characterize the simpler form coalesce into large masses. By this point, the march of the disease cannot be stopped. The scarring can spread, turning the lungs black and shriveled. It is irreversible, incurable and fatal. When a miner shows signs of the disease, it is vital that he get out of the dusty atmosphere. In 2000, Fox transferred to a mining job that was not underground, but, even above ground, the dust was inescapable. After losing his claim, he worked five more years at the mine as his health worsened. Mary was struggling with her own illness, and Gary tried to support her. “If I got bad news and cried, he’d crawl into bed and cry with me,” Mary recalled. She could see him withering. No longer could he cut the grass or climb steps. He couldn’t walk far before his breathing became labored and he had to stop. Co-workers saw it, too. One, who asked not to be named because he is pursuing his own claim and fears retaliation, recalled coming upon Fox in the bathhouse in the throes of a coughing fit day after day. 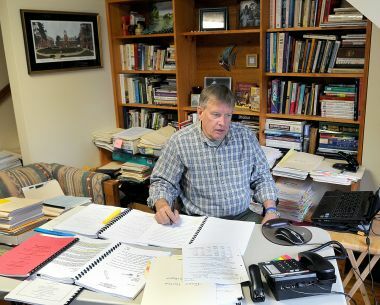 John Cline at his home office in Piney View, W.Va.
Gary Fox and John Cline met in January 2007. Two months earlier, Fox finally had decided he couldn’t go on working; he retired and filed a second claim for benefits. The doctor who examined him for the Labor Department knew Cline and had suggested Fox contact him. Cline found Fox quiet and thoughtful. Though he was only 56 years old, Fox clearly was struggling to breathe just from a couple of hours of conversation. In the past two years, he’d lost about 40 pounds. The Labor Department-certified doctor again had diagnosed complicated black lung, and this time he’d noted a severe decline in Fox’s lung function. The case instantly aroused Cline’s suspicions. He had finished law school just five years earlier, but he’d seen Jackson Kelly in operation for much longer. To him, the lack of pathological evidence generated by the firm was a red flag. He told Fox he thought it was likely the firm had reports about his lung tissue that it had never revealed. A week later, the two talked again. Cline took the case. Within days, he served Jackson Kelly with formal written questions, asking for any evidence not turned over. When Jackson Kelly attorney Ann Rembrandt refused, Cline filed a discovery motion with the judge, Thomas Burke. Rembrandt gave the firm’s standard response, fine-tuned over the years, claiming that any reports it chose not to submit were privileged. Jackson Kelly continued to fight, filing motions asking Burke to reconsider and asking the review board to intervene. The board declined, and Judge Burke again ordered Jackson Kelly to turn over evidence by August 4, 2008. The deadline arrived, but the firm didn’t produce any documents. Instead, it conceded the case. By now, Cline knew the strategy well. In past miners’ claims, he’d tried to keep the case alive, to force Jackson Kelly to turn over the evidence it had withheld, to expose just what information the firm had and when it had it. He hadn’t been successful. There was reason to believe this time might be different. But first, he and Fox had an unenviable choice to make. In the years leading up to Fox’s retirement and second claim, there were signs that perceptions might be shifting among the administrative law judges who hear black lung cases. That was, in large part, because of Elmer Daugherty. 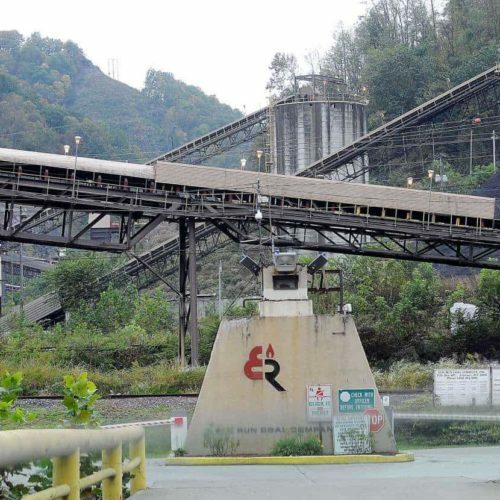 A retired miner who had worked more than 30 years underground, most of that time for Westmoreland Coal Co., Daugherty had tried multiple times to win benefits, losing each time. When he filed again in 2000, he was 75, with an 8th-grade education and no lawyer to represent him. 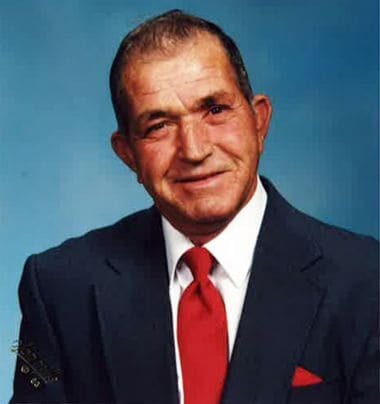 Retired miner Elmer Daugherty’s case led to disciplinary proceedings against a Jackson Kelly attorney. At Jackson Kelly’s request, he underwent an examination by Dr. George Zaldivar. The report that Zaldivar gave the firm included a narrative, an X-ray reading and the results of lung-function tests. The narrative portion was a potential problem for the firm; it diagnosed Daugherty with complicated black lung. Because the report was from an exam, not a re-reading of existing evidence, Daugherty would know it existed; the firm couldn’t withhold the entire thing. Instead, attorney Smoot removed the narrative portion and submitted the rest — a pile of forms and graphs that mean little to someone without the training to interpret them. In 2004, however, attorney Cohen agreed to represent Daugherty, and he uncovered what Smoot had done. When Cohen raised the issue at a hearing, Jackson Kelly lawyer Dorothea Clark began to defend the firm’s actions. Cohen contended Jackson Kelly’s actions were part of a longstanding pattern. “[C]laimant suspects that this conduct has been applied on a widespread basis and may be responsible for the loss of black lung benefits by hundreds, if not thousands, of other claimants during the 30 year period that the Department of Labor has had jurisdiction to adjudicate cases under the Black Lung Benefits Act,” he wrote in a December 2004 court filing. Lesniak ordered Jackson Kelly to turn over any other evidence it had. The firm refused. He referred the case to a federal district court, which has contempt powers. That court concluded it didn’t have jurisdiction but made it clear that it “in no way approves the conduct of Jackson Kelly lawyers.” It referred the case to the West Virginia Office of Disciplinary Counsel. Charles Caldwell in 1988. “He seemed to fade away,” his wife, Patsy, said recently of his rapid weight loss and increasingly labored breathing before his death in 1999. Three other Jackson Kelly lawyers — Mattingly, Clark and Snyder — were investigated but not sanctioned. Nonetheless, a panel of the Lawyer Disciplinary Board said it was “deeply troubled by the act of disassembling Dr. Zaldivar’s report,” which the three had defended but apparently had not participated in, and warned them, “[V]iolations of discovery orders in the future will evidence a pattern of behavior” inconsistent with good faith. The Daugherty case was not isolated. Jackson Kelly had done essentially the same thing to miner Charles Caldwell almost a decade earlier, documents obtained by the Center show. Zaldivar had examined Caldwell and written a report diagnosing complicated black lung. Another lawyer at the firm appears to have done the same thing Smoot would do years later — removed the narrative and submitted the rest. The progression of complicated black lung can be rapid and shocking. Gary Fox’s decline began in 2008 as he and Cline were in the midst of their fight against Jackson Kelly. 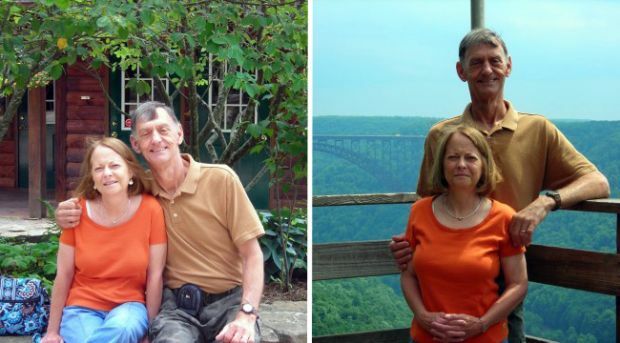 He and Mary spent most of their time in Pittsburgh, hoping the University of Pittsburgh Medical Center could find a suitable candidate for a lung transplant. He managed to stay in contact with Cline. When Jackson Kelly conceded, the two had a decision to make: Would they take the assured benefits or push for Jackson Kelly to reveal any evidence it had? Other miners had reached this point and settled, exhausted from years of fighting. In some cases, judges had considered the claim finished once the firm folded, denying requests to keep the case alive. There were risks to continuing to push. Though Cline had strong suspicions, there were no guarantees Jackson Kelly actually had withheld evidence, let alone that it would be helpful. Perhaps the firm was fighting disclosure not because there was anything damning in Fox’s case but because it wanted to preserve the right to withhold evidence in other cases. Suppose the judge ordered disclosure and there was nothing useful. Fox could lose. Even assuming Jackson Kelly had withheld pathology reports in Fox’s earlier claim, the only way to reopen that case and seek benefits dating back to the time of those readings would be to accuse the firm of “fraud on the court.” This was an almost impossibly high bar to clear. Even using perjured testimony or fabricated documents wouldn’t qualify. Cline would have to prove that Jackson Kelly had carried out an elaborate scheme that undermined the integrity of the system. And he, one man practicing out of his home, would have to do it against a large, savvy law firm. For weeks, Cline traded blows with Jackson Kelly. Eventually, Burke ordered the firm to turn over any evidence it had withheld. On the day the judge had set as a deadline, attorney Ann Rembrandt faxed a set of documents to Cline and Burke. Included were the pathology reports of Drs. Naeye and Caffrey, emerging from Jackson Kelly’s files after eight years. On Feb. 9, 2009, Burke issued a decision that had been decades in the making. The opinion was a repudiation of Jackson Kelly’s aggressive approach to what is essentially a workers’ compensation program, not high-stakes civil litigation with multi-million-dollar verdicts. “Employer’s ‘zealous’ representation strategy instills uncertainty and cynicism into a program intended to compensate miners disabled from black lung disease,” Burke wrote. Overall, he determined, Jackson Kelly’s behavior amounted to “fraud on the court.” Burke reopened Fox’s previous claim and awarded benefits dating to 1997. As it turned out, the firm also had withheld an X-ray reading by one of its radiologists finding complicated black lung on an X-ray taken the year before Fox’s biopsy, justifying an even earlier entitlement date in Burke’s view. For the moment, it was an unprecedented win for Fox and Cline. Today, that victory is uncertain. 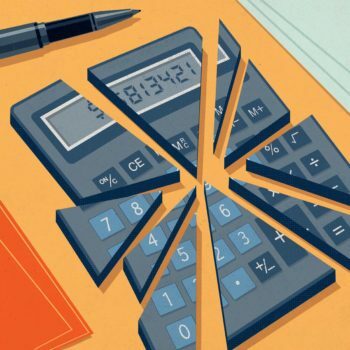 Jackson Kelly appealed, and the review board ruled in a split decision that the firm’s actions had not reached the extraordinarily high level of “fraud on the court.” The case is now before the U.S. Court of Appeals for the Fourth Circuit. Jackson Kelly contends it had no legal duty to disclose all of the evidence it developed, while Cline argues that the firm nonetheless had an ethical duty not to mislead Fox, the court and its own experts. The appeals court’s decision could have profound implications not just for the Fox family, Cline and Jackson Kelly, but for generations of miners. Less than two months after Burke’s decision, Fox was admitted to the University of Pittsburgh Medical Center with a cough, breathlessness and chest pain. He had severe pneumonia, and the struggle to breathe strained his heart, which began to fail. On Tuesday, April 14, 2009, Mary had an appointment with an eye doctor. “Just go,” Terri told her. 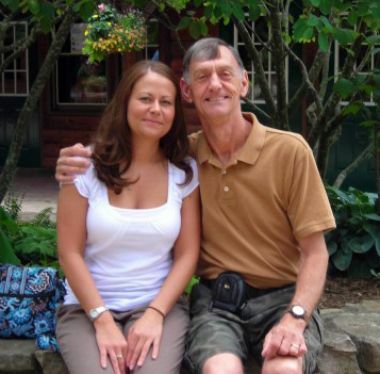 “He’s going to be fine.” Terri’s husband, a cardiologist, came to stay with her and Gary. At 2 p.m., his blood pressure dropped suddenly. Monitors sounded, and doctors ran into the room. At first, he responded to drugs, then his heart rate spiked. When Mary returned, staff told her she couldn’t go to Gary’s room. She ignored them. Gary had needles in his chest and a tube in his throat. Doctors beat his chest violently in a final attempt to bring him back. At 3:34 p.m., the doctors stopped. 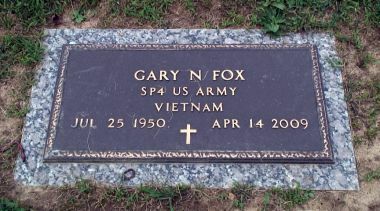 Gary Fox’s grave in Beckley, W.Va.
Now she thinks of all the things her father never got to see. 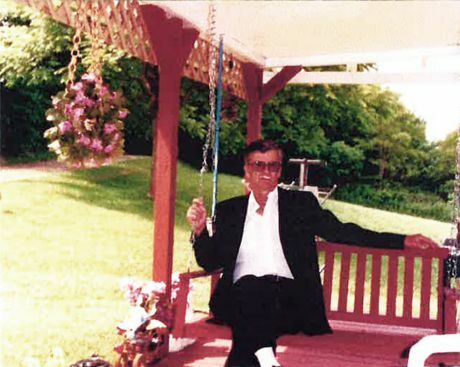 She married in September 2009, five months after his death, walking down the aisle alone. Gary had desperately wanted a grandchild. After he died, Terri gave birth to a boy, Luke. Friends comment on the dimple that appears on Luke’s left cheek when he smiles; it reminds them of Gary’s. The family shared a love of West Virginia University Mountaineers football. Terri went to every home game, and Gary went when he wasn’t working. They’d park a few blocks from the stadium and walk. For the last few years of Gary’s life, Terri noticed he’d have to stop and catch his breath. She started dropping him off next to the stadium. In September 2009, Terri went to a game for the first time without her father, who had been buried with his WVU hat a few months earlier. The Mountaineers won 33-20. Terri just cried. After his death, doctors opined that Gary’s breathing problems caused his heart to fail, killing him. When a pathologist performed the autopsy, he saw extensive scarring and dark masses in his lungs. It was undoubtedly complicated black lung. It always had been.